Where do I even begin? This immediately struck me as a show that would be right up my own quirky alley. I don’t think I can emphasize enough just how wonderful a discovery this was for me. Up until that point in my life, with exceptions so few I could count them on one hand, I had never been invested in a current television show to the extent that I would actually look forward to and make it a point to watch new episodes when they premiered. In other words, this––– a modern, live action TV show that interested me and that I would be able to follow throughout the summer––– was an extremely rare occurrence: one that I could not afford to pass up. As I mentally analyzed the poster, it looked like a fun, tongue-in-cheek show that would be full of action and comedy. I couldn’t have been more right, nor happier that I was right. The Middleman is all of that, and so much more. After seeing all of this (and more), how could I not watch? It’s a good thing I recorded the pilot (titled, appropriately enough, “The Pilot Episode Sanction”): I ended up having to watch it a day later. Twice. The rapid-fire humor caught me completely off guard, and I ended up laughing so hard during my initial viewing that I probably missed at least half of the show’s wonderful humor. I shared it with my mother, father, and brother separately so I could watch it over and over again. 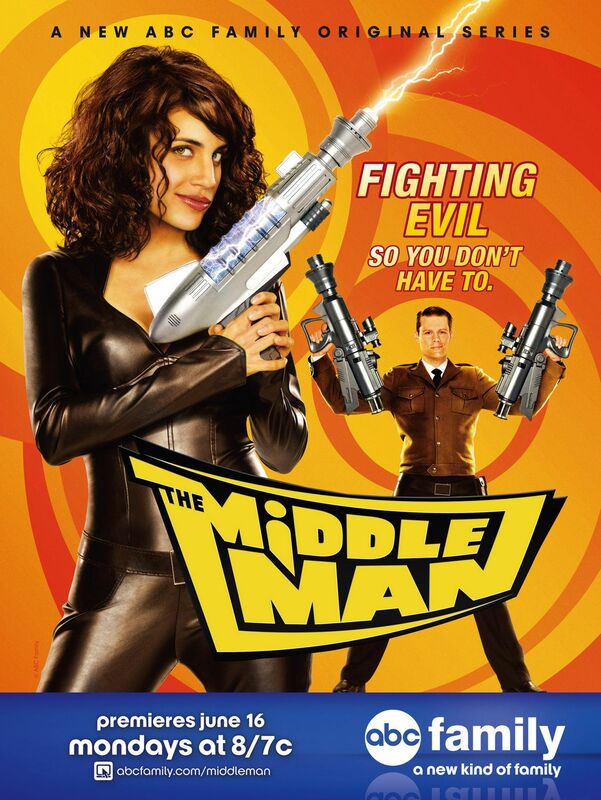 Be prepared: The Middleman hits the ground running. We drop in on Wendy Watson working as a temp at a laboratory, answering the phone with the spiel, “Thank you for calling A.N.D Laboratories, re-scrambling your DNA, how may I direct your call?” (If you didn’t get it, read that again.) Here’s another tip for first-time Middleman viewers: keep an eye on the background. Something just might happen. To say, “I was hooked,” would be an understatement of the very highest caliber. I was instantly sucked into the world of the eponymous Middleman (Matt Keeslar), his new partner, Wendy Watson (Natalie Morales), and the snarky alien android with attitude, Ida (Mary Pat Gleason), who together saved the world from “threats infra-, extra-, and juxtaterrestrial” on a regular basis, using all manner of “weapons and gadgets and things” sent to Middleman HQ from O2STK (Organization Too Secret To Know). The show also depicted Wendy’s personal life, which included friends such as her roommate, the “young, photogenic artist” and social activist Lacey Thornfield (Brit Morgan), and the multitalented (though we never see said talents in action) Noser (Jake Smollett), who speaks in song lyrics. 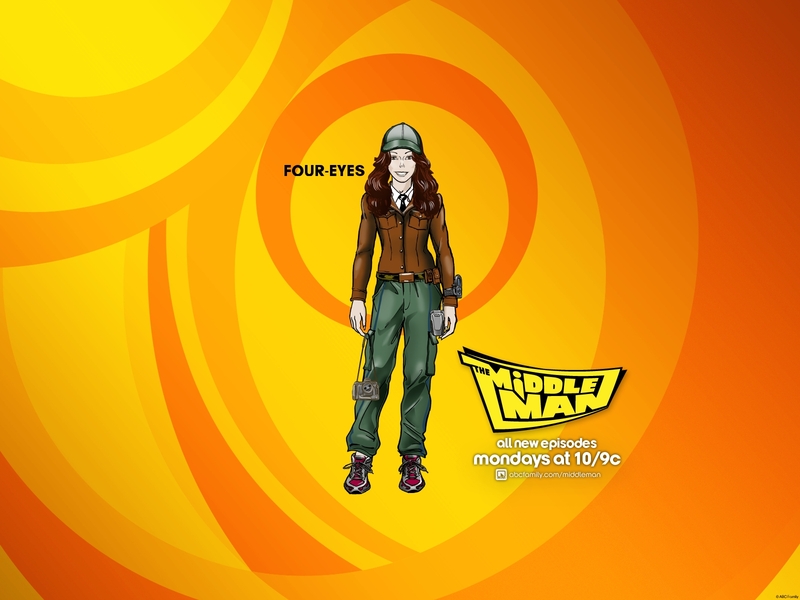 A product of my time on ABC Family’s website. Basically, The Middleman is what would happen if Ghostbusters, Men in Black, and Get Smart got together and had an awesome party. If you want to go watch it right now, I’ll even wait here until you get back. No really: I will. Go ahead. … Well, I guess this is as good a time as any to break before Part 2. Come back soon to find out more about The Middleman, including what the Middle-organization is up to today (Here’s a hint: go here! ), and for an anecdote about how a wonderful coincidence led to my attending a convention and meeting Javier Grillo-Marxuach and the cast of The Middleman!